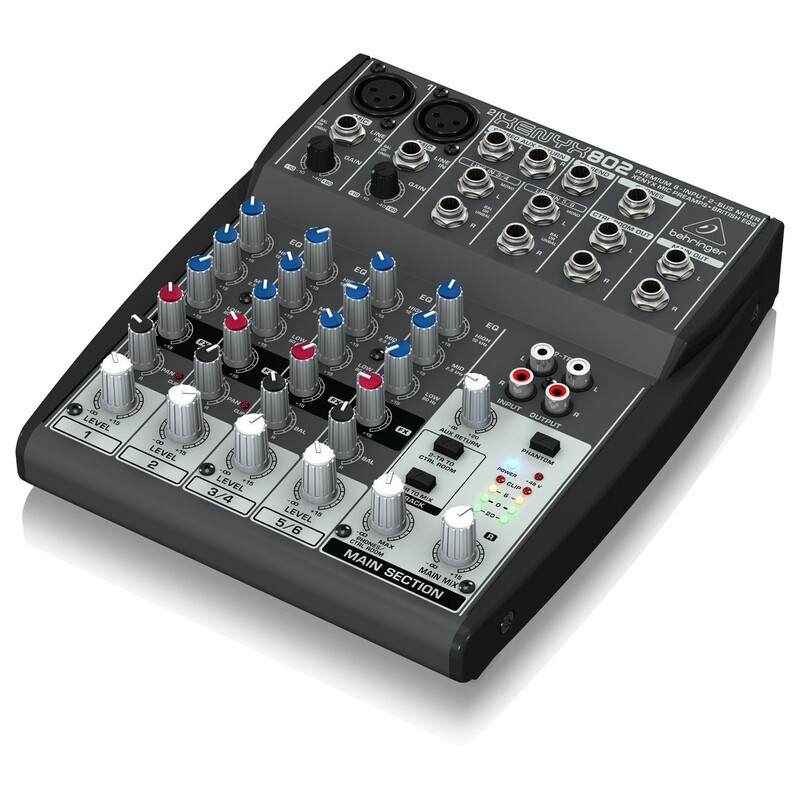 The Behringer XENYX 802 Analog Mixer provdies you with everything you need to deliver an outstanding performance in any small venue or home studio. 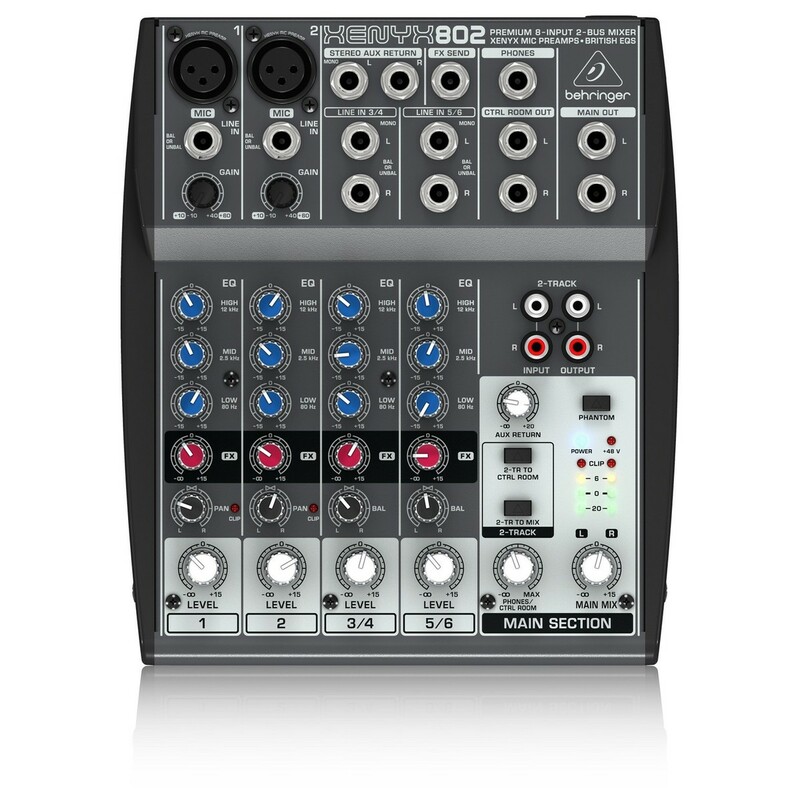 The Behringer 802 Mixer features 8 inputs - 2 mic, 2 stereo and aux returns - along with studio-quality XENYX mic preamps and an incredibly musical ''British'' channel EQs. 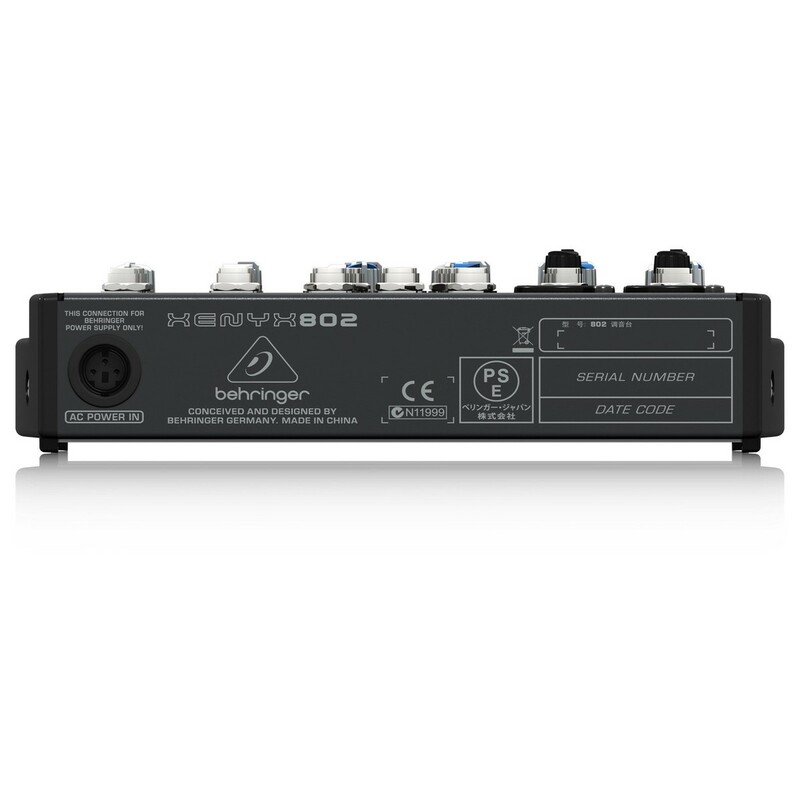 The XENYX mic preamps incorporated in the Behringer 802 mixer are renowned for their sonic performance, high quality and outstanding clarity. Offering an impressive 130 dB of dynamic range and a bandwidth that ranges from below 10 Hz to above 200 kHz, the XENYX preamps deliver high level outputs with a focus on clarity and power. The XENYX preamps are ideal for studio recording and live purposes, giving you an array of recording possibilities while maintaining the rich sonic qualities required for professional audio. 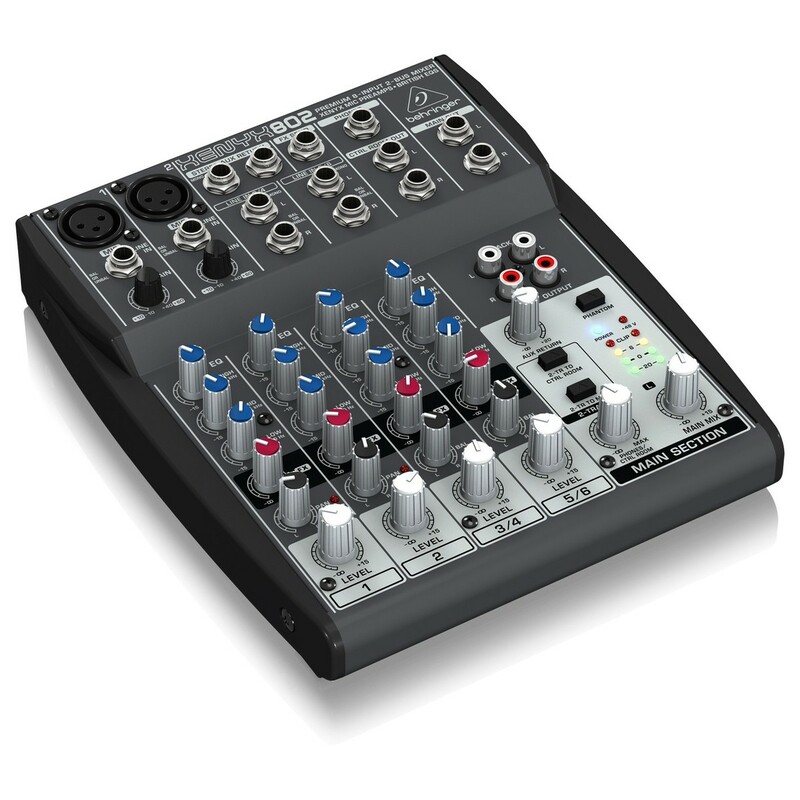 The XENYX 802 mixer features 8-inputs and 2-buses to accommodate two dynamic or condenser microphones. With its built-in Phantom Power the XENYX 802 lets you connect any studio microphone for simple, straight-forward recording. The 3-band EQ will let you affect the input signal, letting you craft the sound you're aiming for. Also featured are Main Mix and Control Room/Phone assignable track inputs to let you play music between sets, the RCA outputs also let you record your performance to an external recording device.